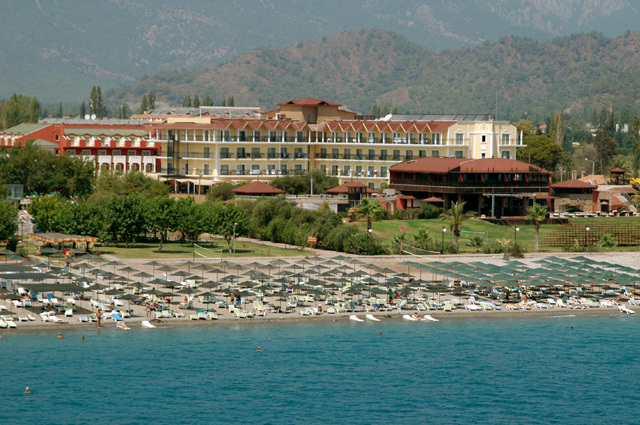 Location: L’Oceanica Resort is located in Çamyuva area and the distance between Kemer is just 5 km, also the hotel is 60 km. away from the Antalya airport. Facilities:Swimming pool with children section * mini club * * fittness center * sauna * Turkish Bath * laundry * beauty center * internet cafe * business center * doctor. Sport and Leisure: Fittness center * Turkish Bath * sauna * massage * beach volley * table tenis * waterski * sirf * canoe * diving club * aerobic * mini golf * dart. 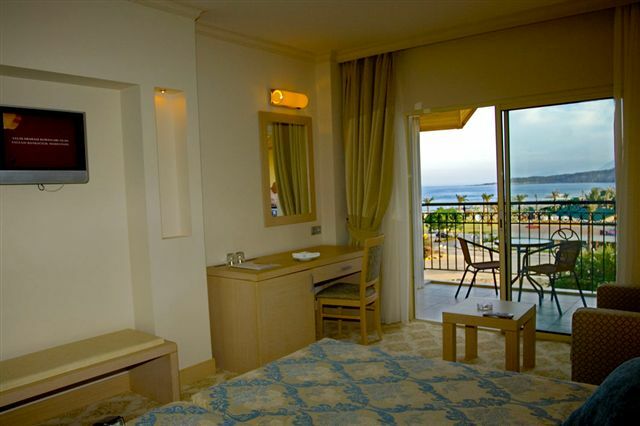 Rooms : The Hotel has 136 standart rooms plus one handicapped room. Total bed capacity is 275. Besides hotel has 7 non-smoking rooms on the top floor. Beach: The beach is just 50 mt. away from the hotel and there is a special beach for guests. Deckchair and beach towels free of charge. Pool: Sterilized swimming pool and aquapark are available. Also animation team displaying funny shows and preparing funny games and contests for the pleasure of guests. SPA Center: Turkish Bath, sauna and massage center are available in spa center. Also hairdresser and beauty center for ladies on service of guests. Free Of Charge : Fittness center * sauna * Turkish Bath * table tenis * beach volley * aerobic * animation * mini golf * dart. Payable Locally: Massage * watersports ( waterski * sirf * canoe ) diving club * safe * beauty center * business center * internet cafe * hairdresser * medical assistance * car rental * laundry and dry cleaning service. Price based on all inclusive: All local alcholic and soft drinks available between 07:30-24:00.